Your business requires a cost-effective email service and, if you've done your homework, you've considered Office 365 and Exchange. Migrating to any new infrastructure is daunting, and if you haven't been part of a previous migration to Office 365, then you've got a steep learning curve ahead of you. 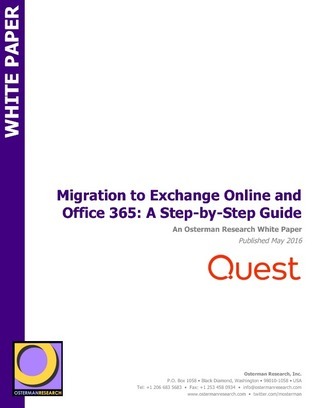 This white paper is a guide that will take you further than step-by-step and breaks down each step into its basic components to provide a better understanding of the migration process.